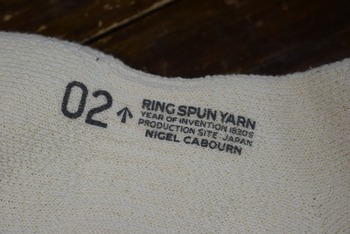 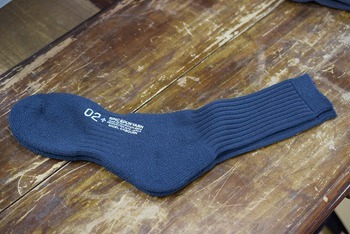 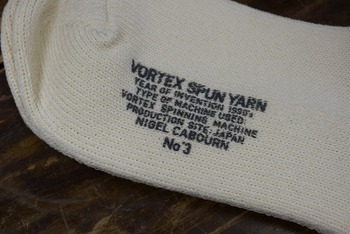 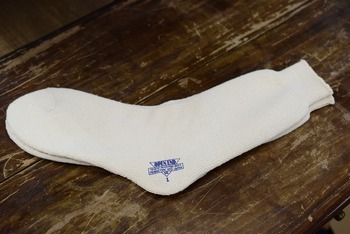 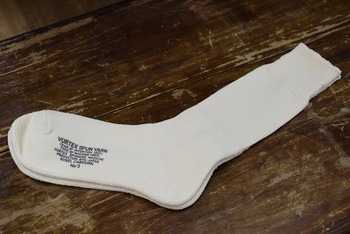 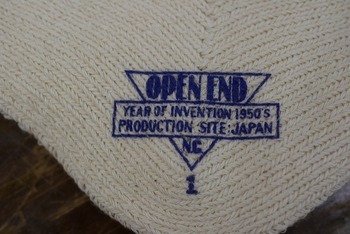 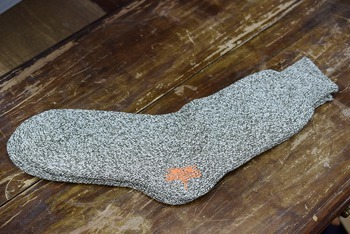 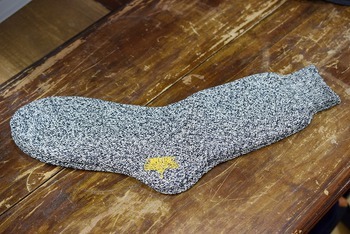 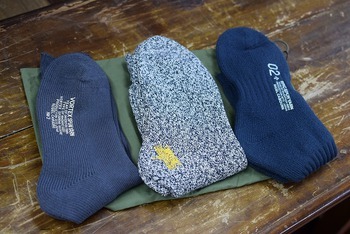 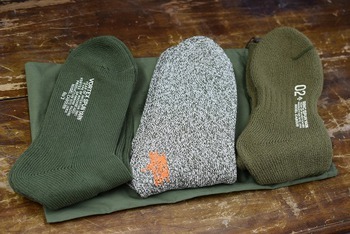 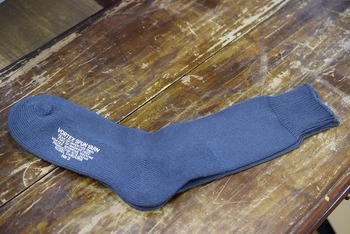 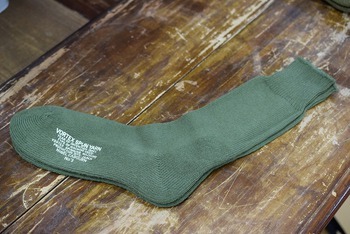 3-Pack army socks have arrived from Nigel Cabourn. 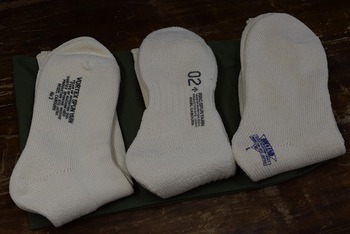 3 pair of socks are packed literally, and 3 of them are made of different fabrics. 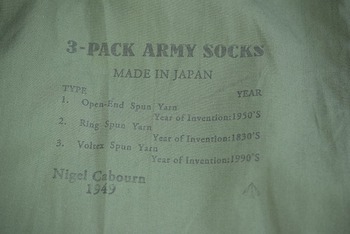 It’s like their box T-shirts appearing during summer. 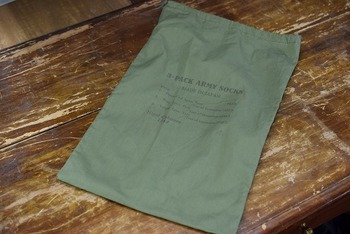 They come in a bag shown below. 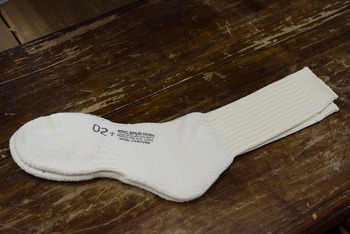 All of them are quite thick. 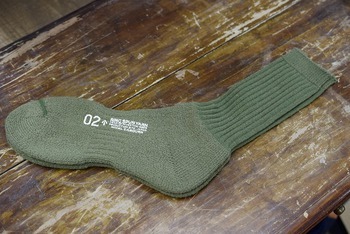 It would be good if you wear them with a pair of boots or over-sized sneakers.